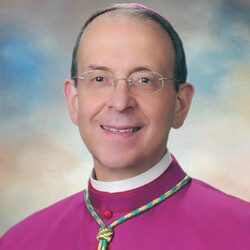 This summer, the Catholic Church in the United States marks the 15th anniversary of the creation of the Charter for the Protection of Children and Young People, a comprehensive set of procedures established by the U.S. Conference of Catholic Bishops in Dallas in June 2002 to ensure dioceses throughout the United States are appropriately addressing allegations of sexual abuse of minors by Catholic clergy and others. The Charter also includes guidelines for preventing future acts of abuse and for bringing about reconciliation and healing of victims and survivors of abuse. Prior to 2002, each U.S. diocese had its own policy for handling allegations of child sexual abuse. However, in 2002, when the scope of the sexual abuse crisis in the Catholic Church in the U.S. was revealed, it prompted the bishops to create stringent, mandatory procedures that ensured allegations of abuse would be handled appropriately in every diocese, effective abuse prevention practices would be put into place, and compassionate outreach programs would be instituted to respond to the needs of victims. Of course, these policies are only effective if they are put into practice in the daily life of the Church. Thus, the Charter also requires each diocese to have an Office of Child and Youth Protection, an independent child abuse review board, and to undergo regular external auditing of its compliance with the Charter. In June 2017, the USCCB released its Annual Report on the Implementation of the Charter for the Protection of Children and Young People, which details the results of the external audit of dioceses to ascertain their compliance with the Charter. The audit serves as an opportunity for the Church to renew our commitment and resolve to bring forth a safe environment for children, but also an opportunity to continue to develop and improve our existing efforts. It is also a reminder and a challenge to us to remain vigilant and to continue to work tirelessly to assure that no child in our care is ever harmed. Safe environment training was conducted for 2.3 million adults and 4.2 million children. I was privileged to be a part of the team that drafted the Charter 15 years ago. I believe it is an effective tool in our fight against the scourge of sexual abuse which has devastated so many innocent people and threatened the credibility and holiness of the institutional Church. 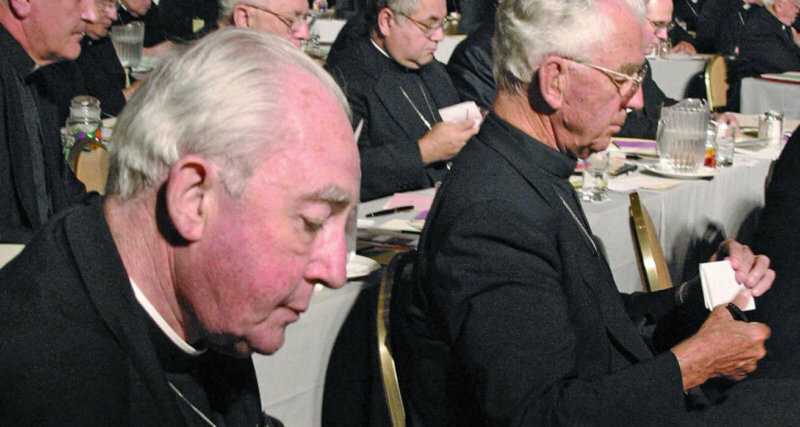 Fortunately, the Archdiocese of Baltimore had strict child protection policies and practices in place for more than a decade prior to the Charter’s implementation in 2002. In the ensuing 15 years, the Charter has strengthened those pre-existing policies and has helped to establish the current culture of accountability, transparency and compassion that is pervasive in every ministry of our local Church. Annually the Archdiocese submits to an external audit conducted by an independent firm hired by the U.S. Bishops Conference to conduct compliance audits insuring that dioceses are compliant with the Charter. And the Archdiocese reports quarterly to the Independent Review Board, an interfaith, interdisciplinary group of mostly lay leaders who review the work of the Archdiocese to ensure compliance with the Charter, with Maryland law, and with its own child protection policies. Internal and external audits of parish and school compliance with child protection policies are conducted. Since 2003, every parish and school has been visited and audited by a member of the Office and Child and Youth Protection. Since 2003, the Archdiocese of Baltimore has trained 292,639 adults who volunteer and/or work with children and young people. In addition, more than 44,000 students per year have been trained in child abuse prevention and reporting since 2003, as part of religion class in Catholic schools or in faith formation classes in our parishes. In addition, more than $4.3 million has been paid by the Archdiocese to assist survivors of child sexual abuse with their healing. Included in this figure is counseling assistance the Archdiocese offers to survivors by a counselor of their choosing, for as long as it is helpful. I am grateful to the countless people throughout the Archdiocese who contribute to our daily effort to keep children and young people safe, as well as to those who assist us in compassionately reaching out to those harmed by representatives of the Church. We owe as much to the young people entrusted to our care today and in the future, to those harmed in the past due to our failure to ensure their safety, and to the Church that is ours to sanctify through our Christ-inspired acts of love and holiness.